Anchorage is situated at the head of the Cook Inlet. It is the most populous city in Alaska at around 261 thousand which is 42 percent of the state's population. 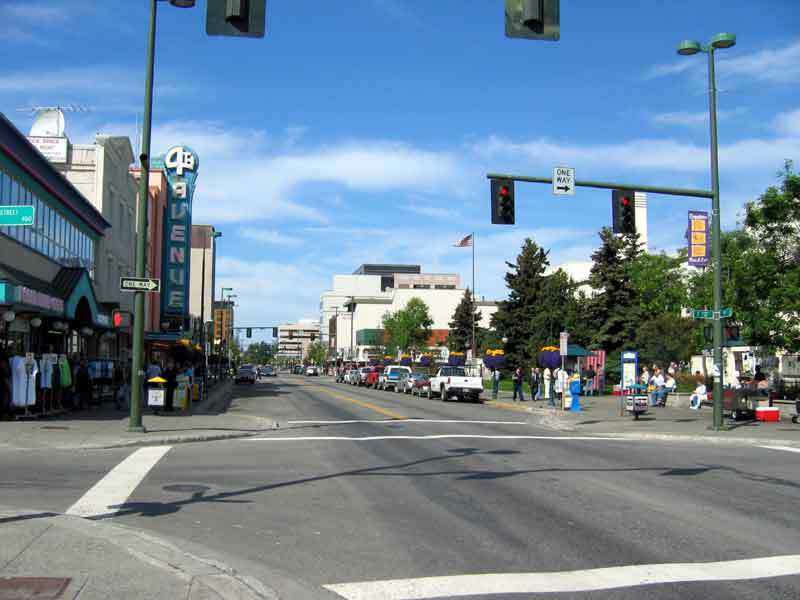 Anchorage was heavily damaged by the 1964 earthquake and many buildings were rebuilt at that time. 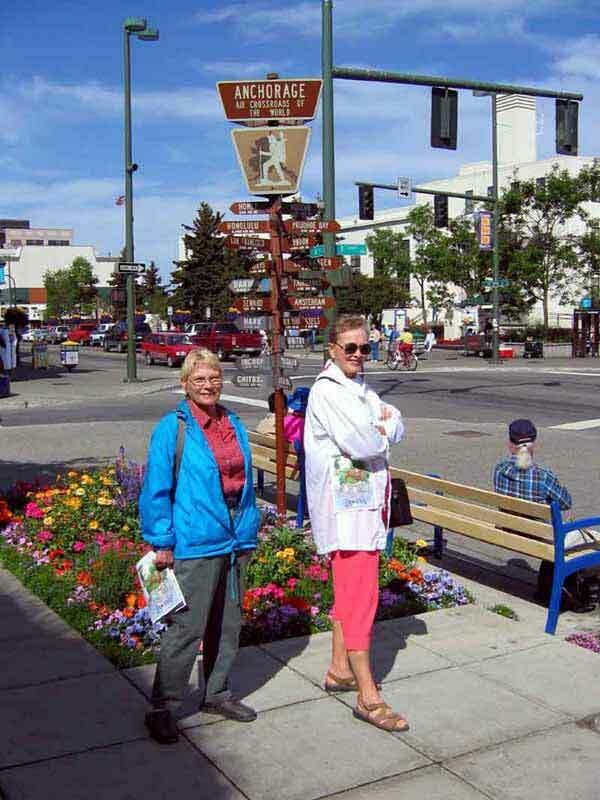 Valdez and Seward were the main ports at that time and they were destroyed by the earthquake and never fully recovered their commercial status. Anchorage took over this function partially because of the earthquake and also because of the presence of the Army and Air Force bases that were established here. Bush planes and their pilots are responsible for almost all the transportation to the remote parts of Alaska, which is almost all the state. 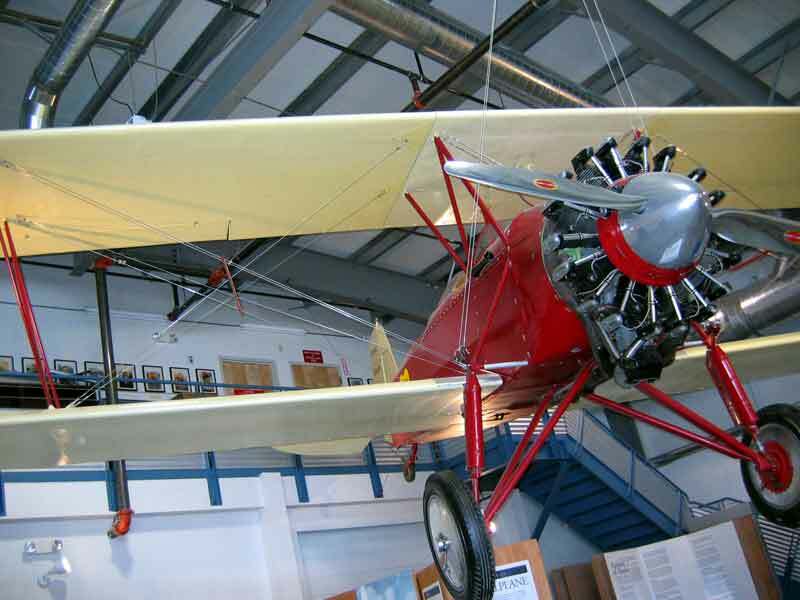 The Alaska Aviation Heritage Museum has a great collection of the planes that helped develop Alaska. If you are interested in this stuff it is a good place to visit. It is located on the south shore of Lake Hood. 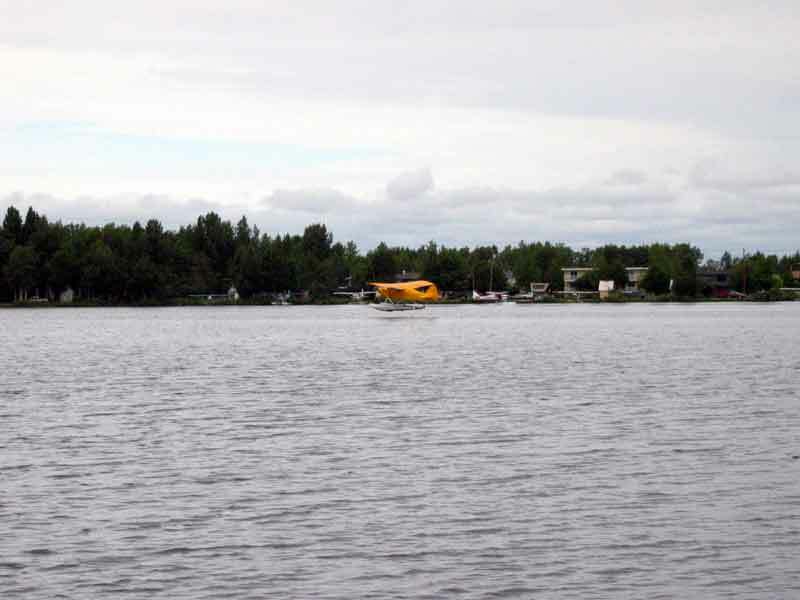 Lake Hood is a huge float plane base here in Anchorage. It accounts for hundreds of flights per day. The majority of these flights are by private planes. Downtown is a mix of old and new buildings because of the 1964 earthquake. There are many displays of colorful flowers everywhere around the city. All the main streets are lined with hanging bunches of blue and yellow flowers. 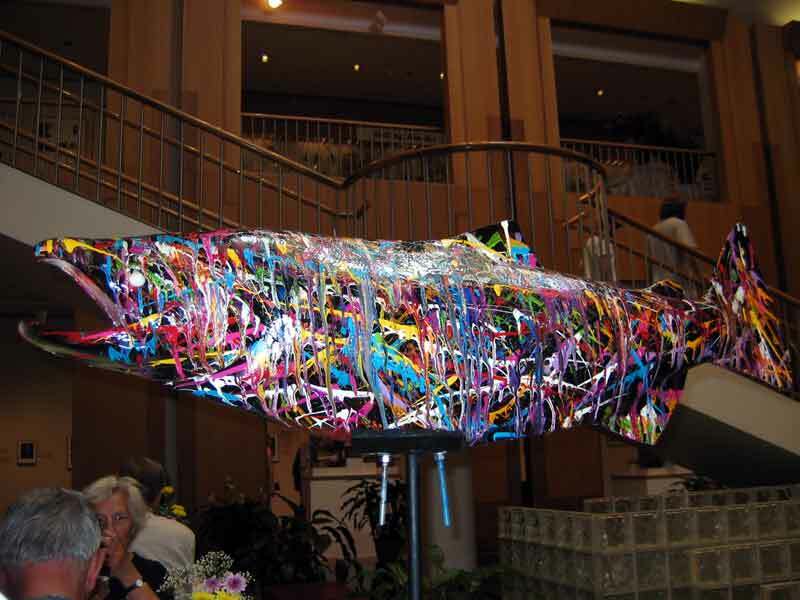 There are 26 of these salmon sculptures placed around the city, on streets and in buildings, each with a different characterization. 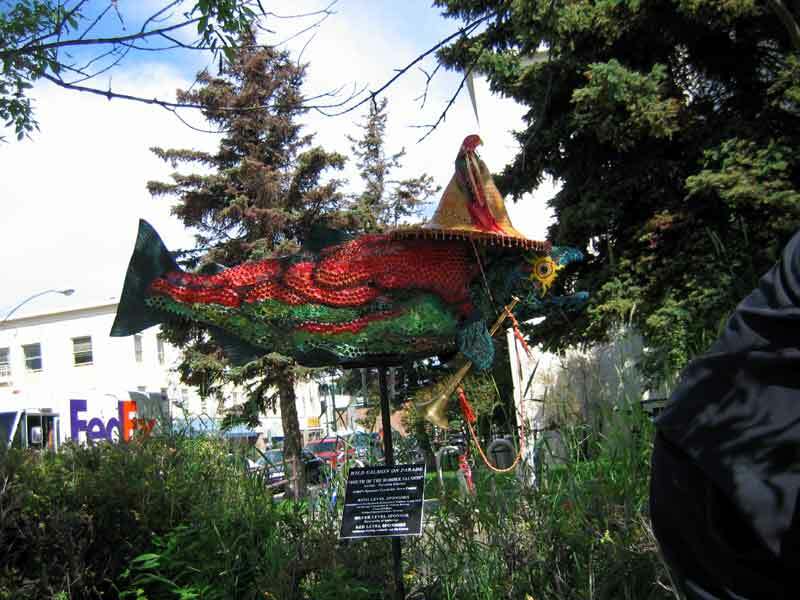 This is a three month event featuring five foot statues wildly decorated by local artists.